Believe it or not but Peshawar Zalmi’s and West Indies all rounder Darren Sammy is now an honorary Pakistan citizen. The Chief Minister of Khyber Pakhtunkhwa Pervaiz Khattak offered the explosive all rounder the honorary citizenship of Pakistan on special request of Peshawar Zalmi owner and a passionate cricket fan Javed Afridi. The Chief Minister tweeted on social media website Twitter to make this major announcement. Darren Sammy in reply tweeted that he is extremely thankful for this and will happily accept the offer. The Zalmi owner Javed Afridi had earlier tweeted that he would request the government of Pakistan to offer honorary citizenship to Darren Sammy because of the players love for this nation and his willingness to learn Pashtu. Will request Govt of Pakistan to offer Honorary Citizenship (Nationality) for @darrensammy88 ,with regards to his love for this Nation. 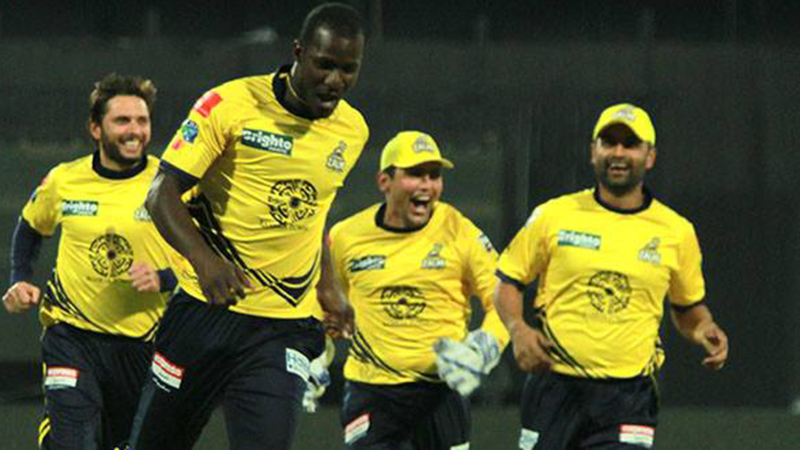 Darren Sammy played a key role in Peshawar Zalmi’s campaign during the inaugural season of Pakistan Super League and was instrumental in Peshawar’s win throughout the tournament. Next articleShahid Afridi crazy 24 in 4 balls vs Harbhajan ‘slapper’ Singh, 4 consecutive SIXES! !